We are on our way from Washington DC to Boston on a road trip I’ve dubbed “Roadie ’12”. In 6 days, we’ll cover over 700 miles and travel through 8 states and a District. Leaving Washington DC in the morning, we drove towards Philadelphia to make it in time to watch a Phillies game that evening. We had the day to get there and decided to make a stop in Baltimore for lunch. Unfortunately we weren’t stopping at Camden to see a ball game, nor would we be there for the Sunday NFL game when the Ravens took on the Patriots. 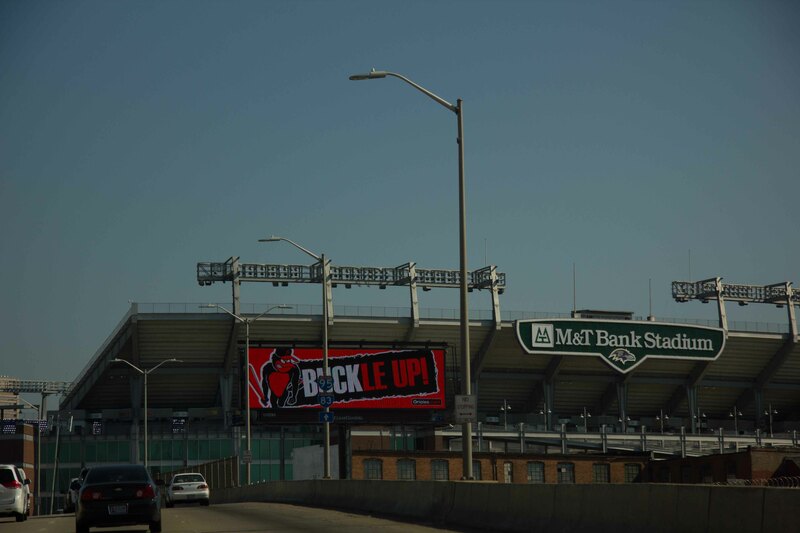 Too bad, Baltimore seems like a great sports town. I didn’t know a lot about Baltimore before I started researching for this trip. I think people know it from the Wire. The little I knew was from Anthony Bourdain’s No Reservations visit with the actors from the Wire. From what I could tell from that episode, Baltimore had some very gritty areas but if we went during the day, we might find some good eats in these places. I had 3 food stops planned for an afternoon in Baltimore. After experiencing Maryland crab on the docks in Washington DC, I took crabs off my list which meant I was left with 2 very doable choices. In between, there was time to take in one sight. Although Fort McHenry ranked high on my list, a piece of baseball history won out in the end. 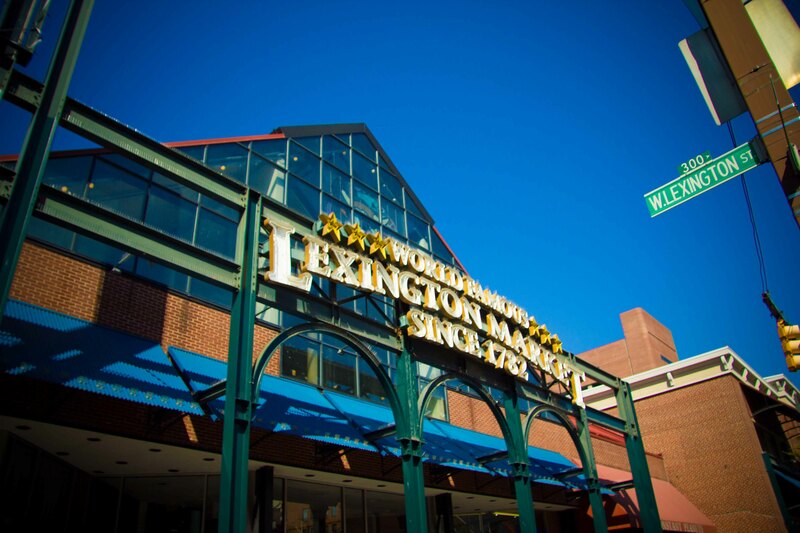 The Lexington Market is said to be the World’s largest continuously run market. It’s stood in the same location since 1782, almost as old as America itself. As a food market lover, I marked this as a POI on my map worthy of a stop. 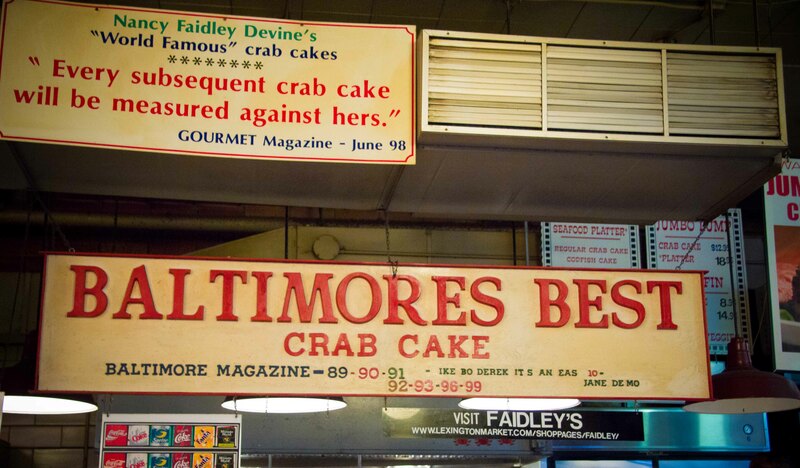 On the tops of must-eats there was “Baltimore’s Best crabcake”. From all I’ve read, I was prepared for the seediness in the neighbourhood surrounding the market. After all, I’ve travelled to many sketchy places in the world in search of good eats. I’ve been willing to “take a bullet” for a Langer’s in LA for a pastrami sandwich. I’ve almost been robbed by gypsies in Rome looking for a great gelato. I’ve traipsed through dirty markets in Vietnam, Cambodia and Mexico where poverty has made the people too weak to seem dangerous. Heck I even walk the streets of my hometown’s Downtown Eastside, where I’m ready to be jumped by a crack addict at any moment, all in the name of a donut. But never have I felt as unsafe as I have when I walked into the Lexington market. Maybe my senses were just heightened from the warnings of danger, but everyone seemed to be yelling at me. Yes, I know that’s silly. People were just speaking loudly, but with my imagination and poor recollection of any life moments not related to food, it felt like people were screaming angrily. Needless to say, I wasn’t that interested in lingering through the market, although from what I saw, it didn’t seem like there was a lot to linger for. After a quick tour of the market I pulled into Faidleys to get down to business. If the sign says it, it must be true. 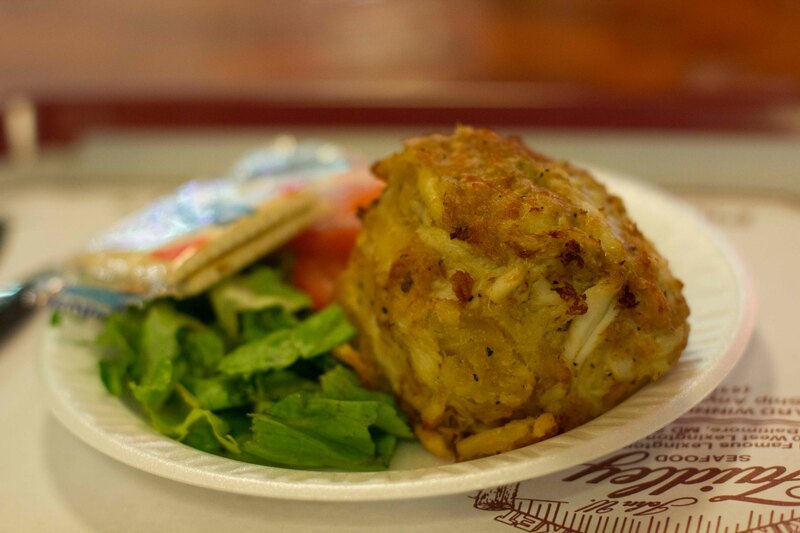 Crab cake the size of a softball for $12.95. I enjoyed Maryland crab in cake form more than going through the work of shucking them whole. 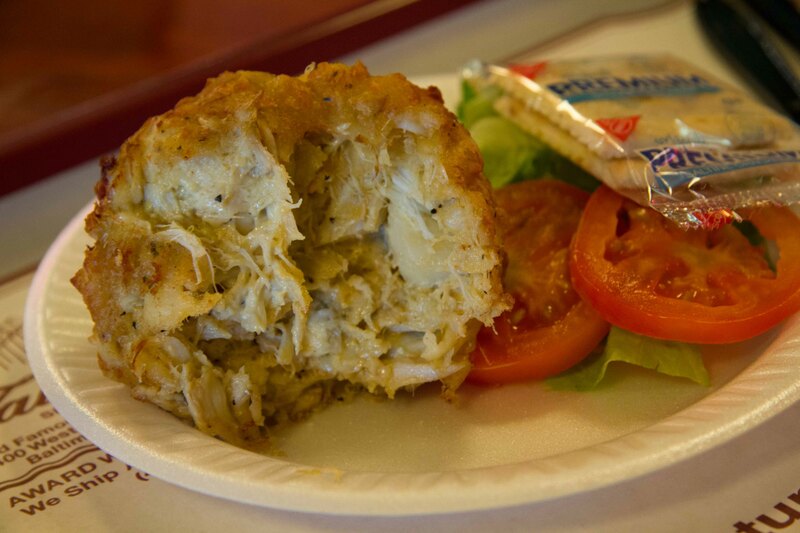 Baltimore’s best crab cake is also the best crab cake I’ve ever eaten. 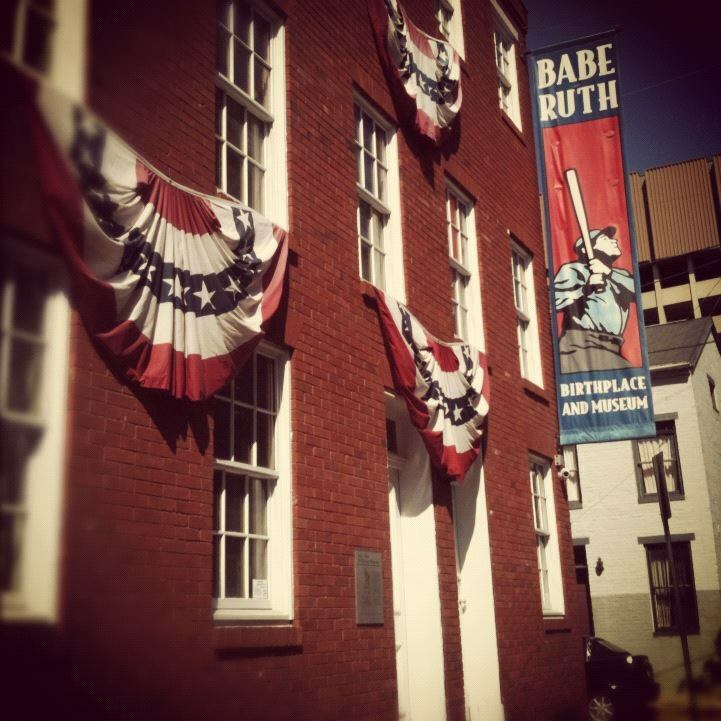 Like I said above, there was time to check out one sight in Baltimore and we decided to pay homage to a baseball legend. 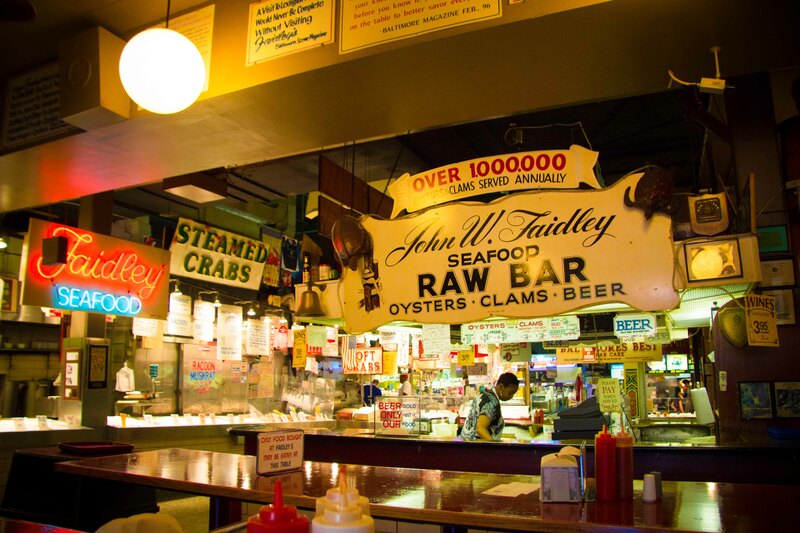 The last stop before leaving Baltimore was at a place I’d first seen on No Reservations, but when I was doing research realized it’s also been featured on Man vs Food and Diners, Drive-ins and Dives. I apologize for my foodie-like comment, but when a restaurant is featured on Triple D, it works against me wanting to go to it. 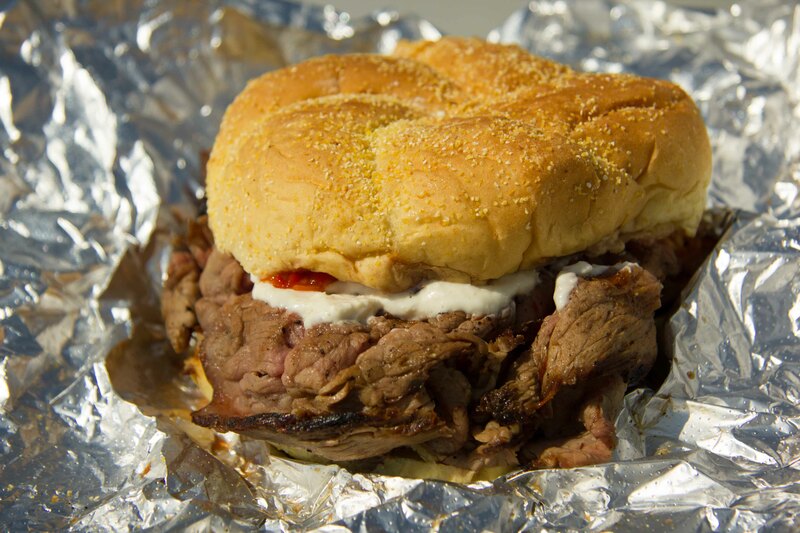 But their sandwich looked so good, that we just had to stop. Well that, and Ben still thinks Guy Fieri is a credible source even if I don’t. 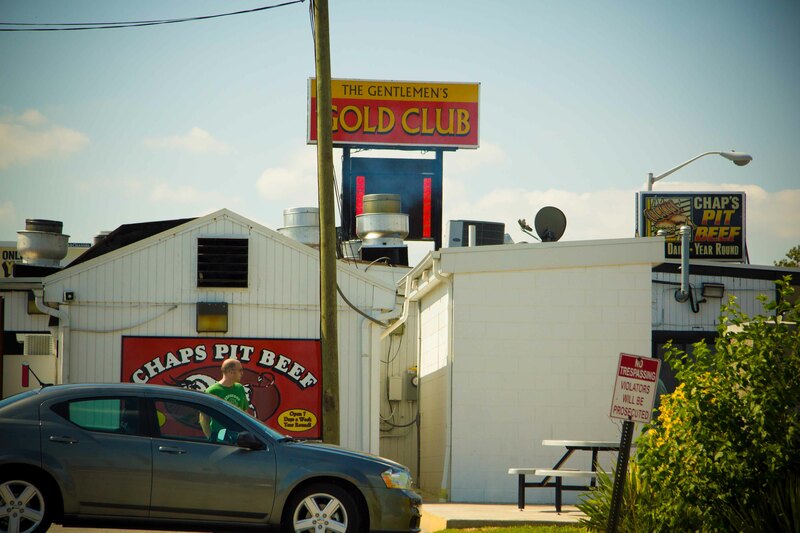 Chap’s Pit Beef is located on the same lot as a gentleman’s club and across the street from an adult video store. So in other words, it’s a classy establishment. When I leave most places, I’m usually sad but I know I’ll return some day. Sorry Baltimore, but I’m not coming back. I may have given a brief thought of a return just for the crab cakes, but a quick Google search has led me to Faidley’s recipe, so I guess not.